Product prices and availability are accurate as of 2019-04-10 09:16:28 EDT and are subject to change. Any price and availability information displayed on http://www.amazon.com/ at the time of purchase will apply to the purchase of this product. Radish, Cherry Belle Variety: Cherry Belle, Raphanus Sativus Color: Green Tops, White Roots Easy to Grow? Easy and quick. Seeds Per Packet: Approx. 200+ Germination Rate: 85% Country of Origin: United States of America Heirloom, Non-Hybrid, Open Pollinated. Seeds can be saved and replanted. Time Until Harvest: Less than 30 days. 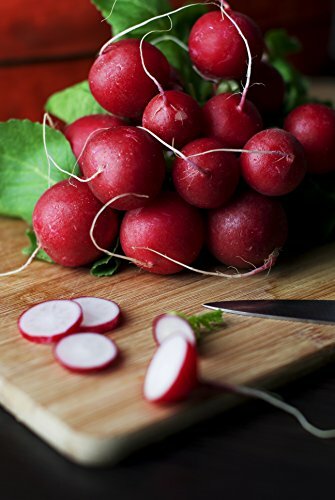 Notes: These are your classic red radishes, good flavor and deep red/ruby color. Plant spring through early summer. Member of the Mustard Family. Cousin to the Cabbage Family but not likely to share any ailments. Incredibly hardy in all types of soil and weather. 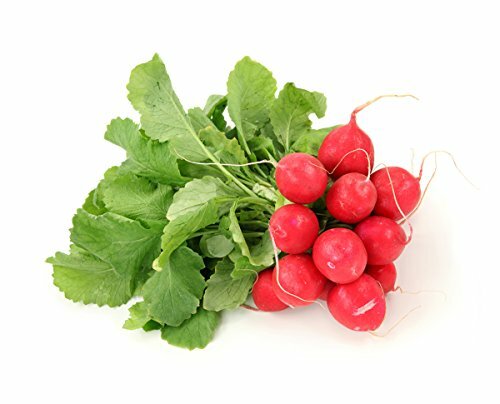 To have radishes all season you'll want to sow every ten days. Plant, sow, or thin to 3 inches apart. If let go to seed you might end up with a few "wild radishes" in your yard up to zone 4.